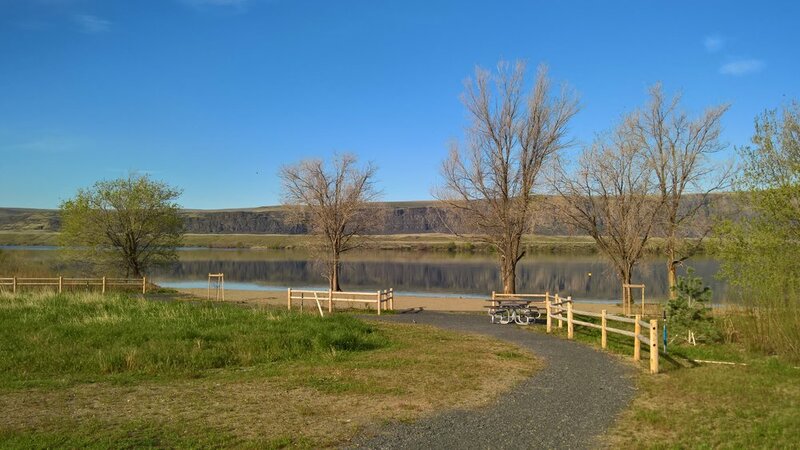 All the pubic day parks at Crescent Bar were renovated in 2017, and new areas were added. 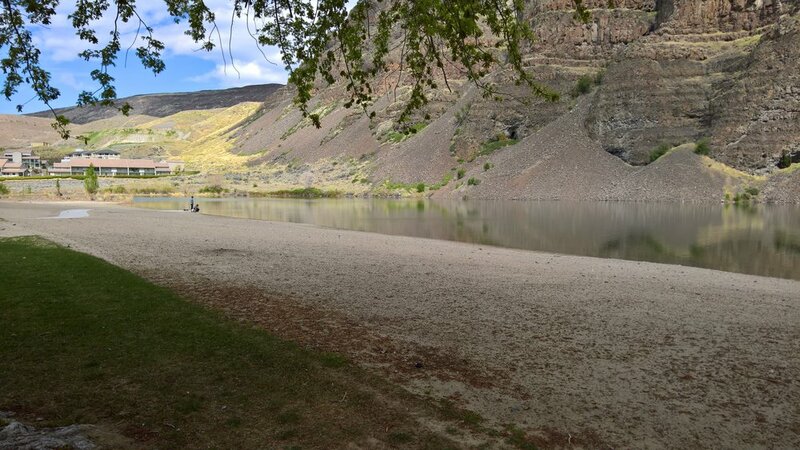 Chinook and Riverbend parks have new beaches, restrooms and covered areas. The public swim area has plenty of parking, with restrooms and an outdoor shower for rinsing off. The gravel is uncomfortable to bare feet and gets hot, so come prepared. Some sand was added in April, 2018, so that should help. Check the weather HERE, and check the map HERE. Covered area at the west end of Chinook beach. 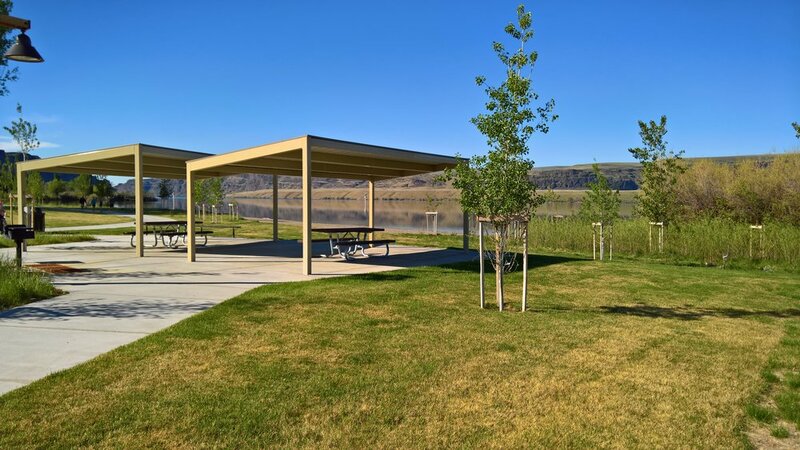 Each of the day-use areas in Chinook and River Bend parks have have a covered areas so you can grab some shade. 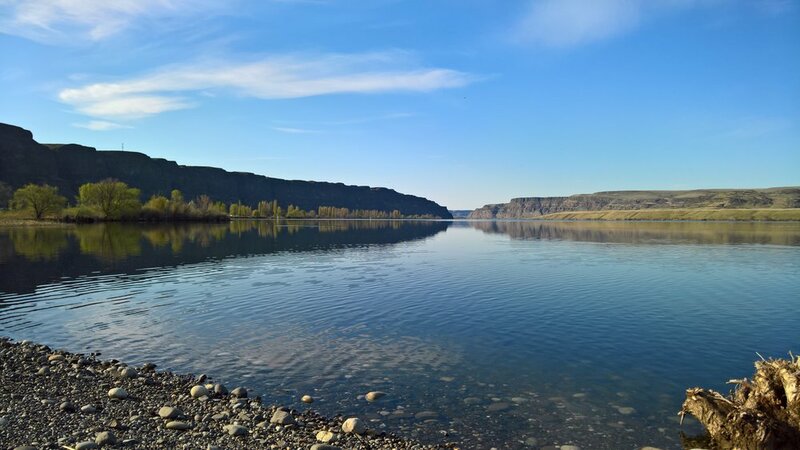 The trail north of Chinook Beach will lead you to five additional beaches, they are Vista, Ripple, Willow, Teal and Trinidad beaches. Ripple Beach has two covered areas. 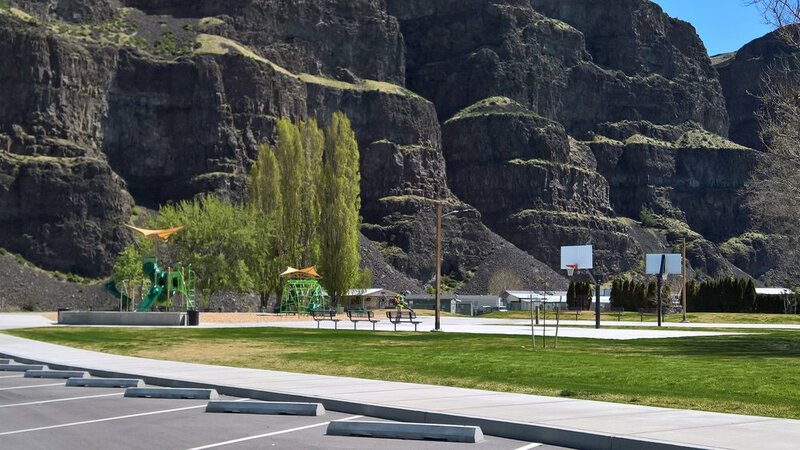 Riverbend beach park has a few picnic tables and a covered area, as well as a playground.